Scott is a proud member of C2 Solutions. 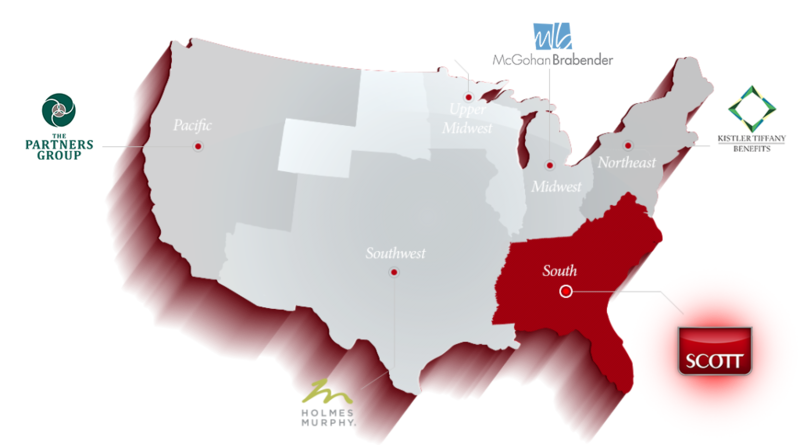 C2 Solutions is comprised of seven of the nation’s top independent regional benefit firms, each bringing a unique blend of heritage, expertise, solutions, and people. Together we deliver a combination of service and experience that is unmatched in the marketplace today. We have joined forces with C2 to create innovative product and service offerings that deliver greater quality and value. And with over 30 strategically located offices throughout the country, we’re equivalent to the seventh-largest privately held benefits firm in the nation.